HA! And you thought we were done --- no, no, wine #4 is a world-class stunner that is ready to rock your...well...world --- 2010 RISERVA Brunello!! We are just getting warmed up --- this is absolutely, madly, absurdly well-priced!! These wines have become scarce to say the least! Will Ferrell loves this with duck! 93 POINTS! 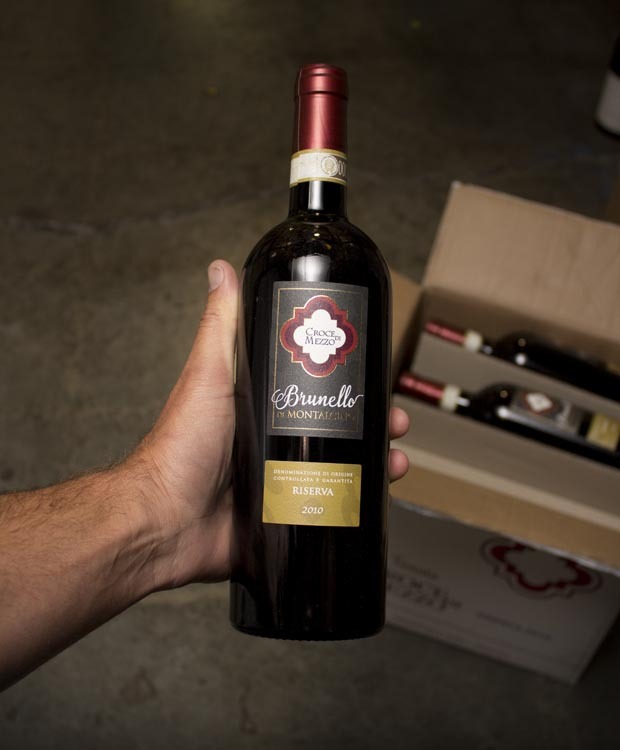 It’s just amazing there are ANY 2010 vintage Brunello left to sell -- this was a vintage that broke all the records and was voraciously snapped up by collectors and Tuscan enthusiasts. Croce di Mezzo makes KILLER Brunello -- their Riserva, a super rare cuvee to see in the U.S., is so classy and so perfect right now (even though it will last another decade with ease), it will fill your life with the joy of Tuscan vinous magic, we promise. OMG, how is this so complex and velvety? Deep, intricate, penetrating blue fruit flavors, cigar box, anise and a super-silky, long finish. AWESOME stuff! So limited, too -- hurry! Free ground shipping on 2 or more bottles.